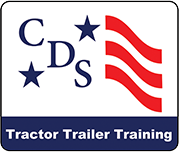 Find a local CDL training school near Scottsville. Get information about CDL Class A and B tractor trailer, truck, passenger vehicle and school bus training classes near you. We've helped thousands of men and women start truck driving jobs and tech careers by connecting them to CDL training and other trade school programs in their area, we can help you too. Fill our free application and start your new trucking career. There are no all-online Scottsville CDL classes currently available but some schools have part-online programs.